Despite being a significant structural component, the roof is one of the most neglected parts of your house. You are likely to only start caring about its present state when signs of leak start to show up. In most cases, even if your roof is already has been seriously damaged or is beginning to crumble, you would only opt for repair instead of complete replacement. It’s high time you learn the indicators of the need to call in a Palo Alto roofing company for roof replacement. Replacing your decrepit roofing can save you a great deal on money in the future, as the new roof will help restore your home’s insulation, eventually cutting down your monthly bills, and it will protect your ceiling from the onslaught of elements. Here are some of the common signs that your roof needs to be replaced. There are a number of factors that a roofing company considers when determining the need for roof replacement. One of these is the age of the roof. Most roofs last for 25 to 30 years, while rare types like slate or copper can last for a few decades more. Don’t wait for your roof to reach its age limit before considering replacement. To prolong the functional life of your roof, however, provide proper ventilation. Curling and buckling shingles are also a sign that your roof is due for replacement. This change in the main roof covering is mostly due to overexposure to the elements or to poor installation. If not dealt with straightaway, this might lead to leak problems, which can further damage the decking underneath the shingles. Continuous exposure to the elements and the accumulation of soil on your roof may give way to the growth of certain algae, and sometimes even plants. Unlike some types of green roof that are designed for plant growth, your roof cannot support plant life. When you see vegetation starting to grow on the surface of the roof or on the gutter, consider roof replacement before it turns into a serious problem. 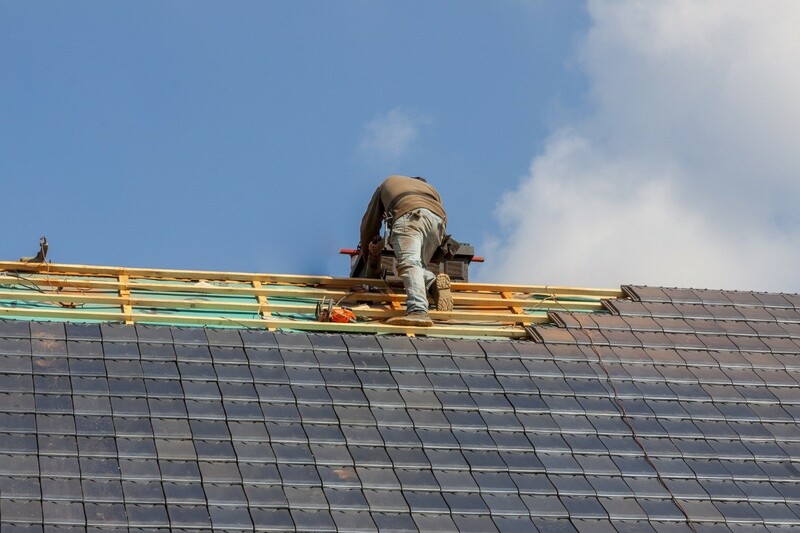 To ensure the success of your roof replacement plan, hire a trusted and experienced roofing company, one that understands the weather patterns in your area and the best type of roofing for your home.